With the more traditional Vinci FUE and FUT procedures, those who are at a more advanced stage of balding (Norwood 4+) have had to compromise in the past with the density or the areas that could be covered and sometimes need to have more than one procedure over a longer period of time. In order to serve better those clients who have a more advanced stage of hair loss and want a single visit solution to their hair loss problems, we have designed the unique Vinci Max™. The Vinci Max™ combines the best of both traditional Vinci FUT and FUE Techniques, with special Vinci Hair Clinic touches both in regards to medication, surgical techniques and tools our specialists have developed to make this amazing one visit procedure possible. The Vinci Max™ procedure is carried out over two to three days, and involves our most senior medical staff with years of experience in hair restoration. 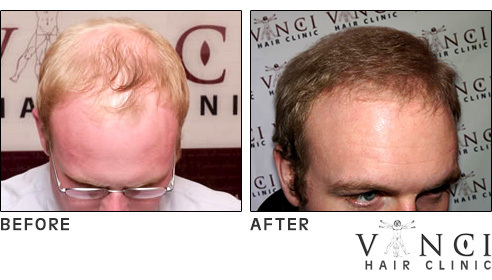 What Results Can You Expect From A Vinci Max™ Hair Transplant? Due to the high number of grafts that can be obtained using this method, the maximum results that can be achieved from a hair transplant are seen in this procedure which gives the client the maximum possible aesthetic effect. 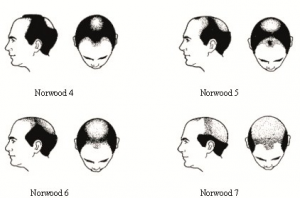 After any hair transplant procedure, usually within a 6 to 12 month time span, the transplanted hairs will have re-grown fully and the bald patch or receding hair line will have disappeared. The results will be totally natural-looking and permanent.